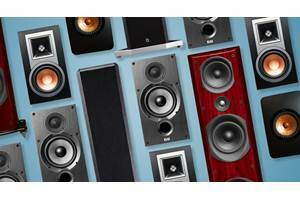 How you arrange your home theater speakers has a big impact on how your system sounds. Proper speaker placement can elevate an average-sounding system to an elite home theater experience. In this article we’ll show you where to place your speakers to get the best performance. And we’ll tackle some common room challenges that often get in the way of lifelike sound. Whether you have a new speaker system or just want to get more out of your existing gear, we can help. You want your front left and right speakers to focus their sound field at your listening position. Angle your speakers slightly towards the seat that’s directly in front of the TV. The tweeters should be at ear level when you’re seated. Have some fun with your listening! Play around with how far your speakers are from the wall. The closer they get, the more that bass is reinforced. That can be good to a degree. But your overall sonic performance can improve if your speakers are pulled away from the wall. Try a few different positions to see what delivers the best results. Angling your front speakers towards you locks in tight, accurate sound at your seating position. Place your center channel right above or below your TV, and line it up with the midpoint. If possible, tilt it to direct the sound to ear level. Here are some center channel shelves that go above your TV if you don’t have a shelf available. Your surround speakers can be placed on speaker stands, or you can mount them to the wall. To keep your wires and cables neat and clean, check out our room-friendly tips. In a 5.1 system, your surround speakers are best placed to the left and right of your listening position. Aim them directly towards you for the best sound. If side placement isn't practical, place your surround speakers a few feet behind your listening position and face them forward. You’ll want your surrounds one to two feet above ear level to get the best sound effects. Place your surround speakers 1 to 2 feet above ear level for immersive special effects. In a 7.1 system, surround speakers are positioned beside and behind your seating area. Just like in a 5.1 setup, the side speakers are placed to the left and right of your seating position and face directly towards you. The rear speakers are positioned behind you, facing forward. Position both pairs of speakers one to two feet above ear level for best performance. Since bass frequencies are omnidirectional, you have flexibility where your subwoofer goes. Placing your subwoofer near a wall will generally result in more bass. Placement near a corner where three room boundaries come together will get you even more. Placing your subwoofer near a wall reinforces bass. Corner placement delivers even more low-end punch. Using two subs improves bass distribution by filling in gaps where bass response may be weak. A second sub also provides more impactful dynamics and greater system headroom. 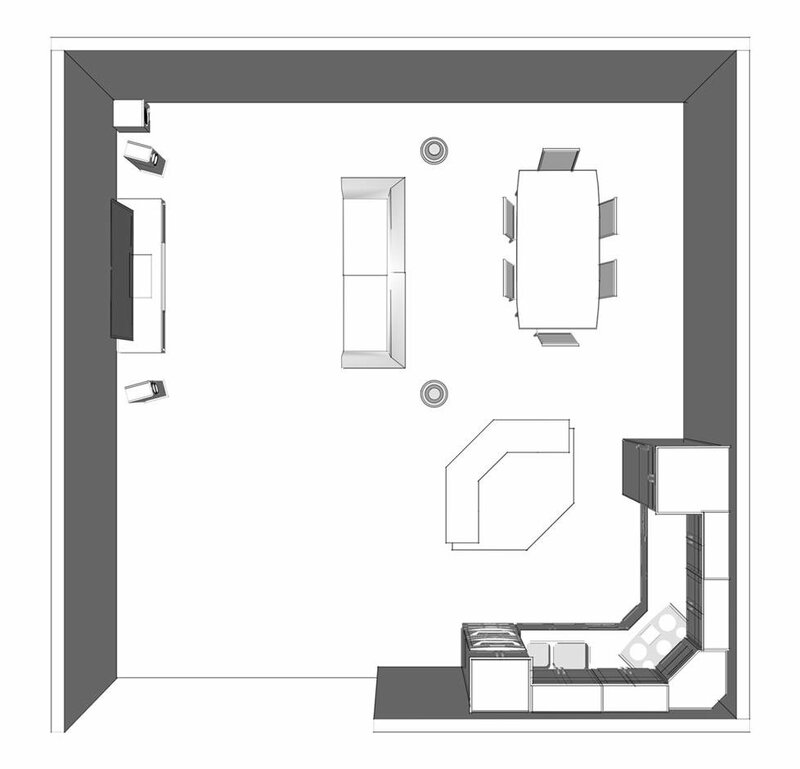 The layout of your room will determine where the second sub should be placed. Some rooms get the best results by having a sub in each of the front corners of the room. Others get more even bass distribution from having one sub in the front of the room, and the other in the back. Try a few different arrangements to see where you get the best bass in your room. Once you've got your subwoofer(s) in place, check out our home theater subwoofer setup article for tips on getting deep, room-filling bass. Add a second subwoofer for more evenly-distributed bass in your room. Not every room will easily accommodate a surround sound system. Ideal speaker locations may be taken up by doors, windows, or furniture. And some floor plans are notoriously tricky. Use the system layouts shown below to get the best sound in these challenging rooms. 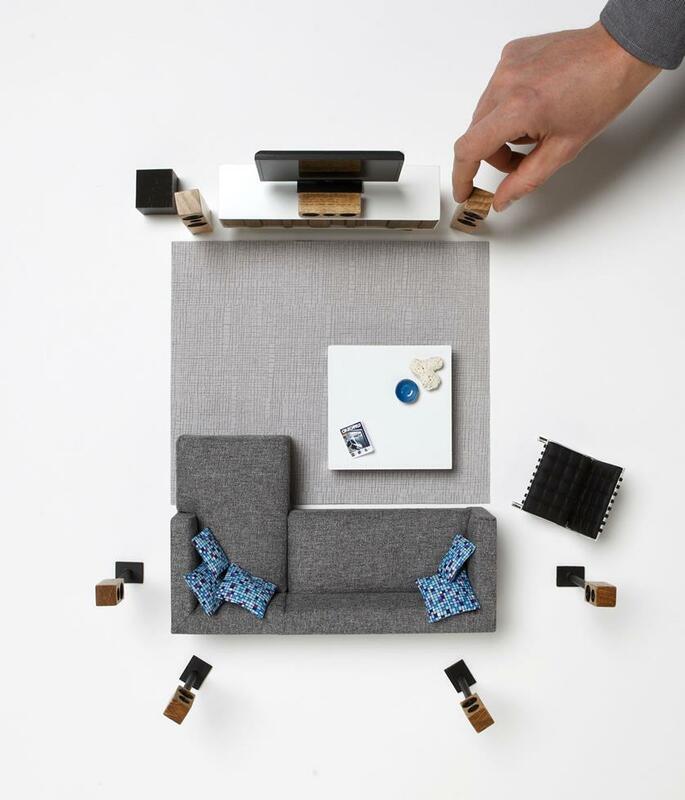 Have an L-shaped room? Arrange your system using standard 5.1 system guidelines. Pulling the couch away from the wall will improve sound quality. TV in a corner? This arrangement makes the best use of your space. Have seating along both walls? A sound bar or 3.1 system is a better option since there are no good placement options for surround speakers. Have an open floor plan? Consider in-ceiling speakers for your surrounds. Place them slightly behind your seating area for exciting overhead effects. If you have a room that doesn't naturally lend itself to surround sound, consider using a high-end sound bar or a 3.1 system. A 3.1 system uses a left, right, and center channel along with a powered subwoofer to create a dynamic front soundstage. These systems are often better options than putting surround speakers where they are in the way, or look strange. You can set up a Dolby Atmos or DTS:X system with in-ceiling speakers or Dolby Atmos enabled upward-firing speakers. 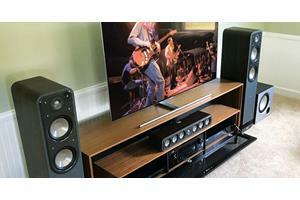 An Atmos system starts with a conventional 5.1 or 7.1 surround sound speaker setup. Then you add two or four speakers to project sound that rains down from above the listening position. DTS:X works with any traditional surround system. Simply arrange your speakers to best fit your space. Then let your receiver’s auto-calibration and object-based surround processor sort out the details. It will determine where to best send dialogue and sound effects. 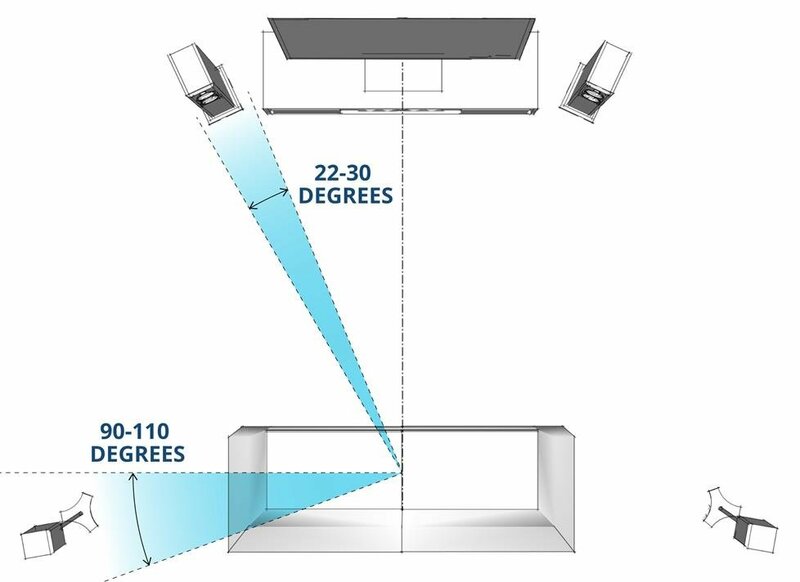 For specifics on where to place your Dolby Atmos speakers, check out Dolby's speaker setup guide. For tips on where to install your overhead speakers, check out our in-ceiling speaker placement guide. An included microphone gets placed in your seating positions. It listens to test tones that are played through each speaker at different volume levels. The receiver is then able to compensate for less-than-perfect placement by automatically adjusting timing, output level, and equalization for each speaker. Watch our short video to see how this works. If you’re still choosing your equipment, check out our guide to home theater speakers. Want friendly, one-on-one help choosing the best gear for your new system? Our expert Advisors can help you design a surround sound system for your home. Call or chat with us today for free, personalized advice. Free lifetime tech support is included with every Crutchfield purchase. A nice original article, and very helpful in the responses to questions. As a tuba player and someone who worked in high-end audio, I insist that bass is not "omnidirectional." Yes, room acoustics make an enormous difference. It's useful to consider that sound travels in waves. High frequencies are low-amplitude and quick, low frequencies high amplitude and long. An entire wave at 40 Hz takes 28 feet to develop. So, waves start somewhere, and tend to reflect off hard surfaces like walls (or floors). Using two subs helps create a less "directional" feel to bass, and allows for using two smaller subs to do the work of a larger one. Smaller subs are less expensive, are faster, and two 8 inch woofers will move as much air as one 10, two tens make a 12, two twelve a 15. Considering that most rooms won't get much bass below 40 Hz that is even within 6 dB of main, smaller subs can save money while giving great performance. The lizard part of our brains associates low frequencies with dread. (Why so many horror/suspense films use bass at low levels to creep us out.) In any .2 system, splitting one sub output to the two in front and using another behind the listening position can make the most of this. If done, the volume on this "rear" sub can be quite low and still effective. Hi Mark, yeah the placement definitely sounds like a challenge. I do think angling the speakers downward would help some. Given your tight quarters, I would focus on trying to get five speakers optimally placed instead of trying to squeeze seven into your space. I know it's tempting to have as many speakers as your receiver will support, but as you're finding without proper separation the side and rear channels sort of blur together instead of providing a clear, well-defined sonic space. I'd try to get one pair of surrounds as well-placed as possible, disconnect the other pair, and re-run your receiver's auto-calibration system. My hunch is that will produce the best results for your room. my room is shallow and i can't place any speakers to the left, or rear, anywhere near ear height or even 1 to 2 feet above. My concern is primarily the side surround speakers in my 7.2 setup. They are presently facing each other, about a foot from the ceiling (one is above an open window area, so can't go lower). Am I best to remount these with a "45 degree downward" angle? or will that even help? I presently don't feel like they or my rear (about 2 feet behind me, mounted on swivel brackets from ceiling) are adding a lot to my sound, and I fear it's my placement that is causing this. Hi Chris, the sub will probably sound the best in the front of the room next to the TV. But if it's wireless (can receive its signal without needing a cable), you might want to try it out in all of the available spots in your room to see where it sounds the best. Bass reproduction has a lot to do with your room's acoustics, and sometimes you can get surprisingly good bass from a spot that you may not have expected. Thanks for the question, and happy listening! 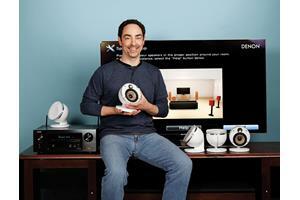 Hi James, with nice big floor-standing speakers like you have, I'd opt for placing them farther back from the couch. You can always adjust the output levels of the side and rear channels to make them sound their best. As for the ideal distances, that's totally up to personal preference. It will likely be a balance between how the speakers look in the room, and how spacious you want the sound field to be. If you can, try them out at a few different distances and see which sounds the best to you (I'd run the auto calibration each time). 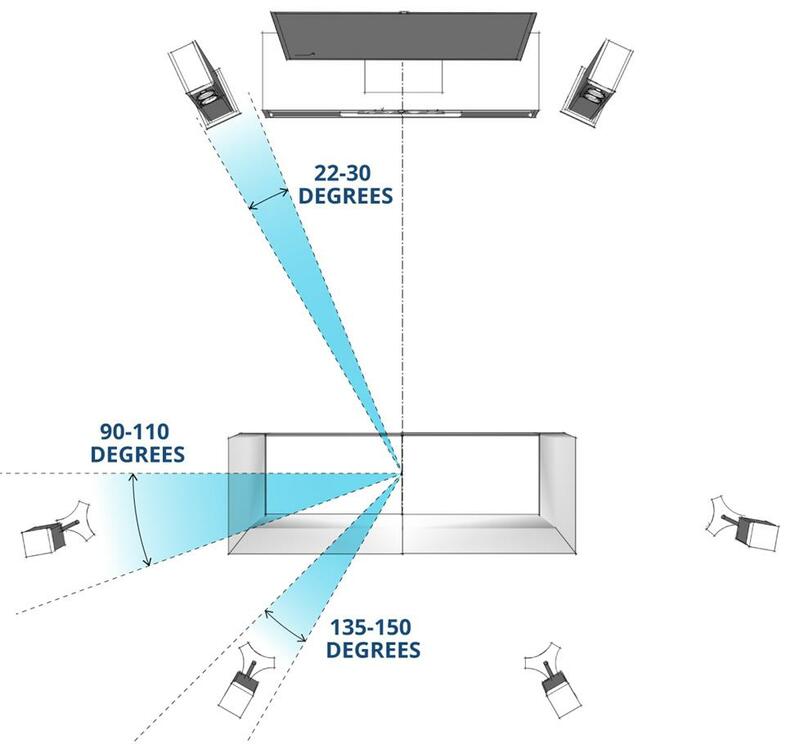 Dolby's diagram shows the 5.1 surrounds are at 100-110 degrees. MM, yep — you're right on the money. Generally speaking, the side speakers would be in about the same locations for each system. There's definitely wiggle room though, depending on your room layout, the direction the speakers are facing, etc. I'm a big proponent on testing your speakers out in a few different positions/angles to see what sounds the best in your room. Are the side surrounds in 7.1 located in the same spot as 5.1? Therefore, 7.1 setup is identical to 5.1 with the addition of 2 rear speakers? Hi Bobby, I think upgrading to a more capable sound bar is your best bet. There are quite a few available that will provide a wide, powerful front soundstage with the option of expanding to 5.1-channel surround sound with wireless rear speakers. Check out my article on wireless surround sound to get started. As always, feel free to give us a call with any questions — we're happy to help. Hi Nat, the placement guidelines are about the same for wall-mounted speakers — try to keep them as close to ear level or slightly above when seated. Feel free to give us a shout with specific questions or with a room diagram, we're happy to help! it appears that placement only covers if one has floor standing speakers, not if ALL (bookshelf) are wall mounted. would have liked it to include what i will be creating. Einv, great observation — you're absolutely right. We'll work on making the illustrations more clear. There is an obvious error in all of the figures in which the angle is shown as 22-30 degrees. The angle is shown to be that subtended by the speaker at the listening location. It should be shown as the angle subtwnded by the speaker with the centerline instead. Hi John, page 4 of your receiver's manual details a "7.1-Channel System with Surround Back Speakers" configuration. I think that is the best setting for your 'NR656. If this is a dedicated system for TV and movies, it's worth lowering your existing rear surrounds if you can. Having them closer to ear level will give you more balanced sound. Feel free to give us a shout if you have any questions! I currently have a 5.1 setup with Onkyo TX-NR656 receiver. My current rear surround speakers are mounted on the wall near the ceiling beside the sofa. I will be adding 2 more speakers soon and want to expand to 7.1. I will place the 2 new surround speakers at ear height on both sides of the sofa. So now I will have 4 rear surround speakers at ear height and ceiling height. Is this the ideal placement? Also on my receiver should I setup as 7.1 configuration or 7.1 with rear Height Speakers? The wall mounted ceiling heights speakers I will designate as speakers 7/8 on the receiver. Hi Brian, generally speaking the Dolby Atmos® add-on speakers go on top of your existing bookshelf or floor-standing speakers. So they'll typically have the same position and orientation. What make and model speakers are you using? I am adding 2 Top Middle speakers to my existing 5.1 setup to create a 5.1.2 Atmos. I am wondering how far in front of the listing position I should place the Top Middle speakers. I have read it should be 80 degrees, but I am looking for a rough estimates in feet. The ceiling is 8 feet high. Also how far from the front wall should Top Front speakers be? Hi Devin, you have a few different ways to set up your gear to get great sound in your open room. Without knowing what type of speakers you have (floor-standing, in-ceiling, etc.) it's hard to say what will work the best. I recommend you give one of our Advisors a call for a personalized recommendation. They will walk you through all of your options to get the most out of your surround system. I have a open floor plan with a see through fireplace in the middle of the space separating the family room from the dining room. Ceilings are slanted, from 9 ft to 15 ft high, TV is mounted on fireplace. Whats the best speaker placement for this layout. Thanks, Zoom. I'm glad you find my comments helpful. If the "height" speakers you are referring to are of the Dolby Atmos or DTS:X variety (which, of course, would require a new receiver), then I would consider that a worthwhile upgrade. Otherwise, I'm not sure it's really necessary if you are enjoying what you already have. Hi Dave, thanks a lot for responding to these comments really helpful, am using Harman Kardon AVR 171 and am using 5.2-channel right now and planning to upgrade to 7.2, my problem is not have enough space for surround-back speakers and planning to go for front height speakers, so i wonder if it's worthy to go for it or stay with 5.2-channel?? Sounds like a neat idea, Eric. You may want to check out this page on the Parts Express website. Just filter for the 4" drivers. My best guess is that any of the smaller drivers pictured should work just fine. I'd stick with 8 ohm models just to be on the safe side. Good luck. I hope your project turns out great! I have a Samsung HWD7000 (you sold it to me) and it's operating in 5.1 right now, but it's able to support 7.1. My wife found some really cool drive-in theater speakers at an estate sale. I'm looking to replace the busted paper 4" speakers with something that'll fit in the same enclosure, but able to handle a bit more power and fit in with this system. Even Radio Shack doesn't sell components like this anymore. Can you recommend a speaker that's got a fairly square mounting bracket with a not-too-tall magnet that might be a good fit for my speaker boxes? We're going to hang them on the wall using a little V hook so it hangs just like it would off the car window. I figure if I can find some speakers that fit, and fill the boxes with pillow stuffing to artificially increase the cubic footage of my enclosures and they may sound halfway decent. Have I got a chance? Thanks, Rick. I'm always happy to help out, especially for a good cause like better sound. In my experience, I have found that aiming the surround speakers as closely as possible towards your ears results in the best overall effects (this applies primarily to point source speakers, not bi-pole/di-pole, or omni-directional models). I suspect you may lose some surround sound performance by placing your speakers where they are, but I'm not sure how dramatic that loss will be. My recommendation would be to run your system's auto calibration setup (maybe a couple of times), play a movie with plenty of surround content, and see how it sounds. If you feel that you are losing major surround performance, it may be time to re-evaluate your speakers' mounting angle or location. Hello Dave, thank you for responding to these comments. This information has been extremely helpful, and your responsiveness is very polite. I just dropped wiring through the walls of my home to finally hide the wires to my 5.1 surround speakers and mounted them on the wall just behind my couch. Both of the surround speakers are facing directly forward. The couch is set 6 inches off of the wall, but when the seats recline, your ears will be almost directly beneath the surround speakers, maybe a couple inches ahead. The speakers are 2 feet above listening level when sitting, 3 feet when reclined. My question is, in your experience, will the fact that my speakers are facing directly forward given their position relative to the couch dramatically take away from their effect, or should I really look for some way to mount them so they point inward, and possibly downward? If you really recommend angling them inward some, about what angle left/right and up/down relative to the listener should they be? Nick, While two feet is a bit close to place your right and left speakers from the center channel speaker (no doubt you'll lose some sonic depth, separation, and sound effects), I see no reason why it shouldn't work just fine. When it comes to our listening rooms, sometimes we just have to play the cards we're dealt. Joe, we are still treading in relatively new territory here. My instincts tell me that your current setup will probably function well (though perhaps not optimally) with Atmos/DTS:X. My advice, give yourself some time to acclimate to the sound (say, a month or two). If you find that you need to change things to get what you're looking for, I believe that in-ceiling speakers could work well without losing much if any performance in standard 7.1 surround mode. I currently have 7.1 setup. with 6,7 being side height placement top of wall near ceiling angled down toward listener . I just upgraded my receiver that includes Dolby Atmos and DTS:X . in your opinion can I stay with my current configuration or should i switch the 2 side height channels to ceiling mount speakers to take advantage of the new technology. I am just little concerned if I change to ceiling speakers something will be lost during playback of 7.1 Dolby Digital which is much more main stream. Hi Steve, Since back surround speakers usually have less information sent to them, I would be inclined to place the smaller SR-8040BP speakers in that location. The larger, more robust SR-8080BPs can better handle the task of being your side surround speakers, so I would place them there. Hi Nick. As I read your comment, I thought I was beginning to understand your situation, but then when you said "I can't hear much from the surround speakers since they are blasting right into my seating position", you sort of lost me. So here's my take on what I think you could do. If your surround speakers sound too loud because of their close proximity to your listening position, you can simply go into your receiver's menu system, find the speaker level settings, and turn the surrounds down until they sound more in balance with your front speakers. Auto calibration systems are helpful, but not always totally accurate or in-line with the preferences of the listener. And as you mentioned, you can also try aiming your surround speakers away from your ears to reduce their level. My suggestion, relax, experiment, and enjoy. Hello! This is my first time setting up a surround system and everything is great except one small problem. I currently have a 5.1 surround system with 5 satellite speakers and a subwoofer. It is a fairly entry level setup with the pioneer VSX-830-K as my reciver. Everything works great except for the fact that my two back surround speakers can only be placed at ear level while sitting and they are directly to the sides of my seating area, after auto calibration to me this creates a fairly stereo experience where I can't hear much from the surround speakers since they are blasting right into my seating position. Is there a way I could compensate for this by pointing the speakers either slightly ahead or behind me since that is all the room I have ? Any help would be appreciated! Ven, I use wall-mounted bookshelf speakers for my surrounds. They too, are approximately 6-7 feet from my listening position, and placed about 2 feet above ear level. This works well for me, and I've had it set up this way for quite some time. But every room and system is different, so your mileage may vary. Since you said you have just recently set this system up, I would suggest giving yourself time to acclimate to the way it sounds before making big changes. Voice matching with like speakers and brands is still considered the gold standard for surround sound. I expect you would get excellent results by switching out your current center with the Infinity Primus PC351. For optimal movie experience, Should one really consider raising the side and rear surround speakers 2-3 ft "above" the ear level instead of having the tweeters just at the ear level? How about listening to music? 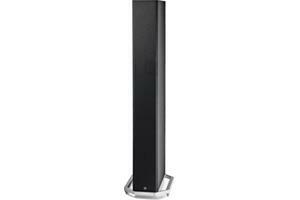 I recently got Infinity Primus p363 towers for fronts and side surrounds as a part of a 5.1 system. The tweeters are just at ear level (as expected from floorstanders). The room is big enough that I am 6 to 7 ft from the surrounds in my prime listening position. I tried raising the p363 'side' towers 2ft above the ground to see if I can improve the 'surround feel', but I felt the listening experinece in fact is worse. I am wondering if I am better off having Primus p163 bookshelves instead of the 363s on the side so that I can raise the surround speakers to a more optimum level (much higher ?). But then I have to find the right stands or wall-mount the bookshelves at the same time sacrificing the quality of sound provided by p363s. Is the effort worth it? Also, is it a good idea to 'voice match' the center with Infinity Primus pc351 instead of the Polk CS10 I currently have? Thanks. Niles, you may lose some accuracy by going outside the recommended range (how much exactly is hard to say because of room anomalies), but it's still worthwhile to install those SRB speakers. If I had to choose locations, I'd likely go to the 150+ degree zone. I've heard a number of systems with the surround back speakers directly behind the main listening position, and they worked just fine. Hi Travis, While placing your back surround and surround speakers at the same height is usually preferred, I don't think it would be a deal breaker to have one in-ceiling set and one stand-mounted set in a 7.2 system. Same goes for positioning the surrounds forward of the main listening area. You may want to play with the toe-in angle of your surrounds to balance out the sound between them and your front speakers. Otherwise, the DSP calibration and room correction on your receiver or preamp/processor should help compensate for the less-than-ideal placement. Hello Dave, I am putting together a home theater currently. The front and back speakers are pre-wired for surround sound but in the ceiling. I plan on utilizing towers and a center channel for the front setup and the back ceiling speakers for the LRS/RRS in a 7.2 setup I was thinking of putting the L/R surround sounds on stands. My theater seats will take up the width of the room nearly (and be close to the rear wall), so the only option would be to place them in front of the seating and angled towards the seated position. Would the difference in height between the side and rears be an issue and more importantly, would the side surround sounds lose the surround functionality if placed in front of the seated position? Indy, Almost no one has a room that allows a "perfect" setup. Your receiver's calibration/room correction processing will compensate to a great extent for less than ideal surround speaker placement. I think you should be just fine. If your surrounds are a point source design, such as bookshelf or small satellite speakers, I recommend aiming them towards your main listening position. I am planning to upgrade my system to Atmos 5.1.2. Front and in-ceiling speakers are total fine in placement, the problem comes from my surround speakers. 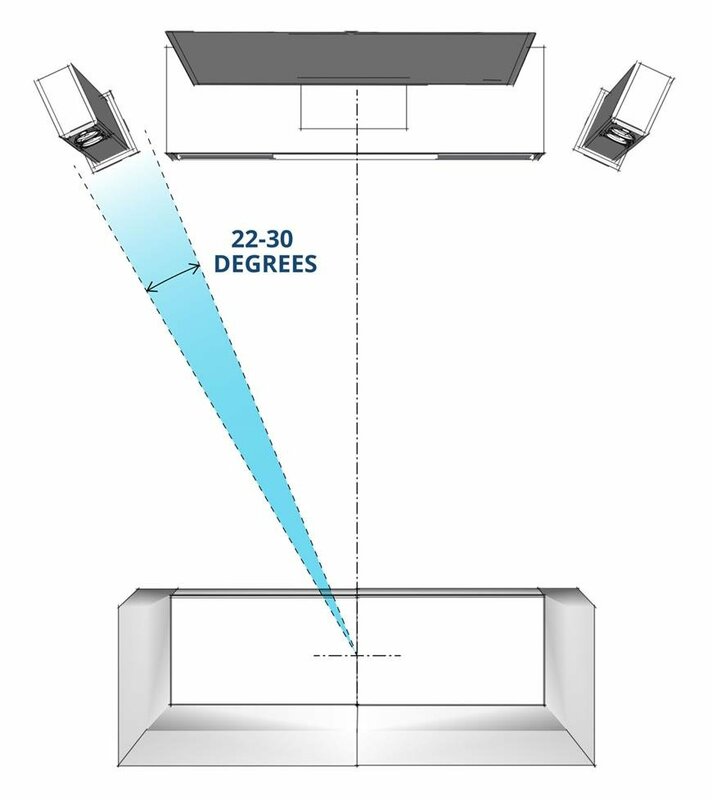 According to Dolby's recommended placement, surround speakers should be placed just behind the listening position and range from 90 to 110 degree (from the center line). But I can only place them a bit further in the back and creating an angle of 135 degree. Will it be a big issue? And should I point the surround speakers directly pointing to the listening position OR else? Thanks!!! PS. I will place both Front Left / Right and Surround Left / Right at ear level to cope with Atmos setup. Michael, Even though the long-wavelength, low frequencies coming from subwoofers tend to "bend" around obstacles such as furniture, I still prefer to place them out in the open to avoid any possible interference with their sound (especially smaller subs like yours, which tend to reproduce higher frequencies that are more adversely affected by such obstructions). My recommendation? Trust your ears, and just keep doing what you're doing. Experiment with placement until it sounds right to you. You may also want to try something like the Auralex subwoofer isolation platform to help tighten up the sound. John, Although placing the speakers where you describe may be less than ideal, as long as you or your receiver's auto room calibration system take into account their distances and angles from your listening position when setting up your system, I imagine it should sound pretty good. The closer you can get your center channel speaker to the screen, the better. But once again, if you must move it closer to the listening position, be sure the distance is correctly dialed into your surround processor to avoid sync issues and other sonic weirdness. Awesome article, with some great information, thank you! I currently have an L-Shaped room with an almost identical layout to what you have shown in the example above. To avoid intrusive drywall work (fully finished space) it would be easiest for me to place my Right speaker at the inside corner of the "L" (closer to the seating) with the Left directly across from it (above where you currently show the Sub). I would likely still keep the Center speaker below my projection screen, although it would be easier again if I could pull that closer to the seating. Reason being, there is a bulkhead running across the room from that "elbow" where the Right speaker would go, so it makes fishing cable easier. I'd love to hear your thoughts on the location of these R and L speakers. Thanks for maintaining such an informative site! Paul, I can't recall seeing anything in the Dolby or DTS playbook about the use of dipole/bipole speakers in an Atmos or DTS:X system. But since the height-channel speakers for either of these two formats operate independently from the "base" 5.1- or 7.1-channel speakers (and your receiver's processor and room calibration system have already taken into account that you are using dipoles), I don't believe you should have any issues using them for Atmos or DTS:X.
I'd like to see more information/recommended use on dipole speakers. I currently use dipole for surrounds on sides and rear, 7' off the ground. 25' x 25' room. with listening area a little off center but not too bad. Am upgrading to 7.1.2 for dts:X and Atmos and wondering about the dipoles. Thanks, Jason. In general, most movie soundtracks tend to output more sound from the surround (or, side surround) channels than they do from the back surround (or, rear surround channels). For best results, I like using identical surround and back surround speakers whenever possible. But, if I found myself with a larger and smaller pair, I would probably put the larger pair in the side surround position since they could likely handle more output more easily. Hi, great guide! I recently upgraded my 7.1 speaker setup (thanks Crutchfield!) except the side surrounds. Those are next but if I don't get the same size as the rear surrounds, would I benefit more from having larger speakers for the rear or side surrounds? Would it make any difference? Do movies tend to output more to the rear or side surrounds? Thanks! Dean, If you bought your gear from Crutchfield, you can call Tech Support for free help setting up your system. If you purchased your equipment elsewhere, you can still get expert Crutchfield Tech Support - 90 days-worth for only $30. Check out our tech support page for details. I have a 7.1 channel surround system and my surrounds (4) are all ceiling type. Two of these four ceiling speakers are slightly larger than the other two. My question is, where do the larger ones go? Should they be placed in the front/side position or more in the back? Up until recently, in a 7.1 system I was under the impression the "5" speakers were on the front/side and the "7" would be behind but I was recently told otherwise. Now I'm not sure where I should place the larger speakers; behind me or in front/side (all overhead of course). Thanks in advance. Thanks, John! We appreciate your business. I'm sure your speakers will come with some mounting instructions and recommendations. And as soon as you receive your invoice number, just give our Tech Department a call for some specific one-on-one advice. I just purchased in-wall speakers from you guys for my home theater. What height should I set them at in the wall? Jason, We carry quite a few in-ceiling speakers with pivoting tweeters/midranges that would work just fine as a center channel. In terms of overall sonic performance, a conventional boxed center channel speaker placed under the TV will probably be more effective at anchoring dialogue and sound effects to the screen. January, I'm afraid this a case of having your cake and eating it, too. In other words, you can't really have it both ways. Most speakers provide a relatively small window of optimum sound, and the farther outside that window you are, the less ideal the sound becomes. One thing I have observed, however, is the farther away you are from your speakers, the larger that window becomes. Placing your speakers as far away as possible from your room's multiple listening positions may help some. Also, if you have a receiver with auto calibration that measures sound from multiple listening positions in your room, be sure to place the calibration microphone at different points on the couch, as well as on your recliner. I have a reclining chair and a corner couch against the back and side walls of my living room and I primarily sit in the reclining chair against a side wall but I have no idea where to position my speakers so that i get great sound without my guests that are sitting on the couch getting bad sound. Any tips? 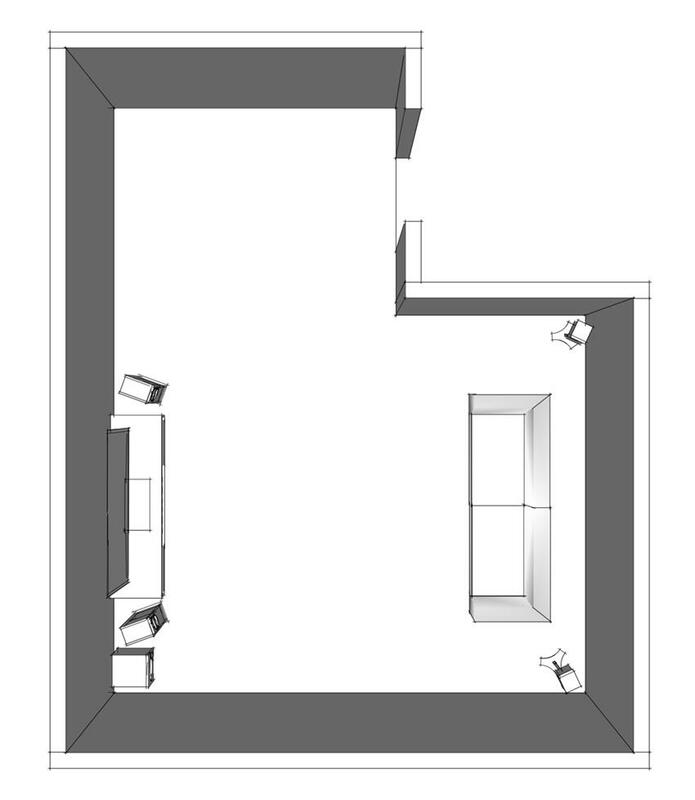 I want to put a 5.1 system in my open floor plan den...4 surround speakers, one center channel, one sub...the 4 surrounds will definitely go in-ceiling, but if at all possible, can I put the center channel in the ceiling too? I am unable (wife won't let me) to in-wall mount a center speaker under the TV, so my only 2 options are getting a boxed center channel speaker that will sit on the TV console below the wall mounted TV or put the center channel speaker in the ceiling and point the tweeter towards the listener. Would the center channel speaker in the ceiling work well? Michael, I'm not sure I would recommend moving your surround sound speakers to the front of your room since doing that will compromise your system's ability to play surround effects. But if you must, I suppose you could still use your receiver's "Surround" speaker outputs. The Denon offers a number of listening mode options that you could experiment with to see what works best for you. Charlie, I'm not aware of any hard and fast rule that states a subwoofer must be elevated or planted on the floor for optimum performance. Of course, common sense would dictate that down-firing subs are generally designed to be placed directly on the floor, and elevated sufficiently by their footers or spikes for the driver to operate properly. But other than that, I believe optimum sub location is dictated more by the room, and varies according to circumstances. We do carry a couple of interesting products by Auralex, the SubDude-HT, and the the SubDude-II isolation platforms, that are designed to slightly elevate and isolate you sub. You may want to give one of those a try if you're curious to experiment with your sub's placement. Which is correct? Subwoofers elevated off the floor for optimum performance or on the floor??????? Michael, if you're receiver allows for only one measurement location with its auto-calibration microphone, then I would place it at the midpoint between the two sofas. Or, if you're likely to be the only viewer much of the time, then I would place the mic in your favorite primary listening spot. If your receiver's auto-calibration system allows for multiple measurement locations, then I would take advantage of that feature by placing the mic in all possible listening positions for the best overall performance. Remember, auto calibration is not foolproof. Sometimes tweaking the settings by ear can still result in a more pleasing overall effect. Go with what sounds best to you. I will have a corner TV setup so your guide has been really helpful. 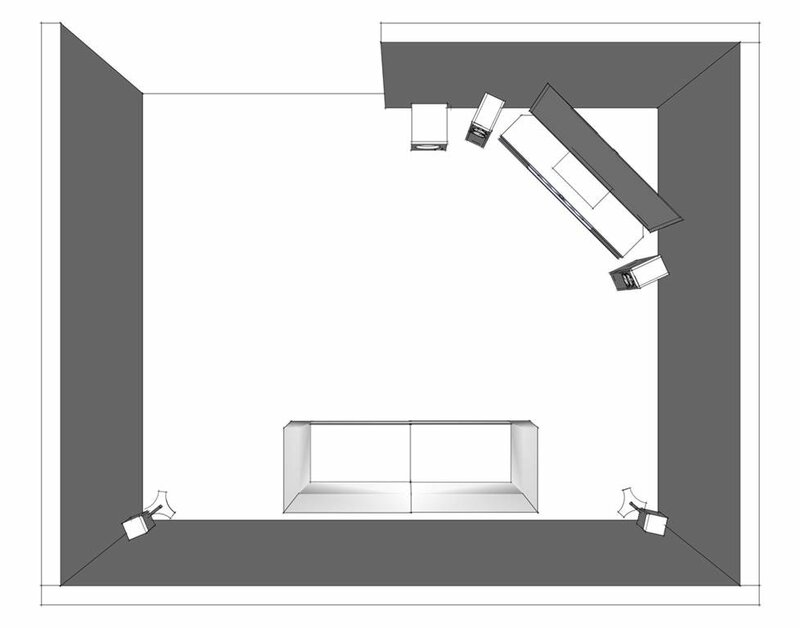 One question, I will have 2 sofas at right angles to each other so, when I come to do calibration should I base it on a middle point between them to get a balanced setup? Having one of your surround sound speakers 3 feet further away from your primary listening position than the other shouldn't be a big problem. If you manually calibrate your receiver with the distance that will take care of the timing/sound delay. But you'll also need to use an SPL meter to compensate for volume. If your system has auto calibration, I'd just go ahead and run the setup and be done with it. Unless I mount the surround speakers (5.1 setup) on the ceiling, I would have to have about one 3 more feet away from the prime seating area than the other. Is this a big deal? Or do I just tell the amp the distance and it can adjust OR let the auto calibration figure it out? Thx.